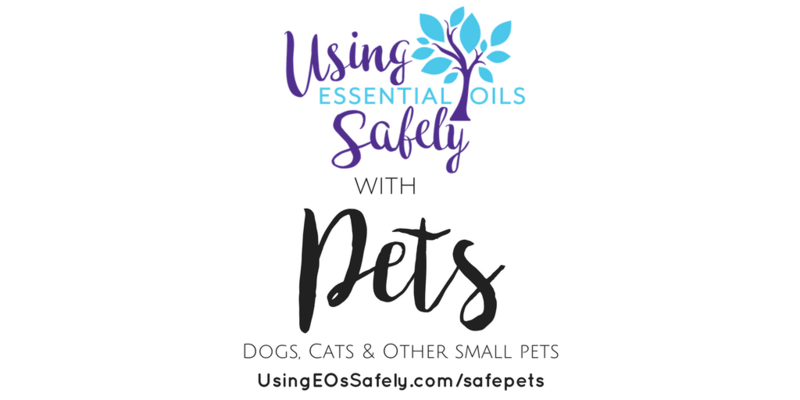 This is a collection of our info about using essential oils safely around pets. Is Tea Tree Safe for Dogs? Please be very careful using essential oils around cats. They simply are unable to metabolize essential oils due to the lack of glucuronyl transferase, a liver enzyme. No essential oils should be used *around* any other small animals, such as bird, fish, rabbits, hamsters or any other small animals that live in a cage or tank. Please note *around* means no diffusing any oils in the same room with an animal that is in a cage or tank. If you are using EOs in a cleaning spray it would be best to remove the cage (or the animal from a cage) to another room for a time so the scent of the oils can dissipate. 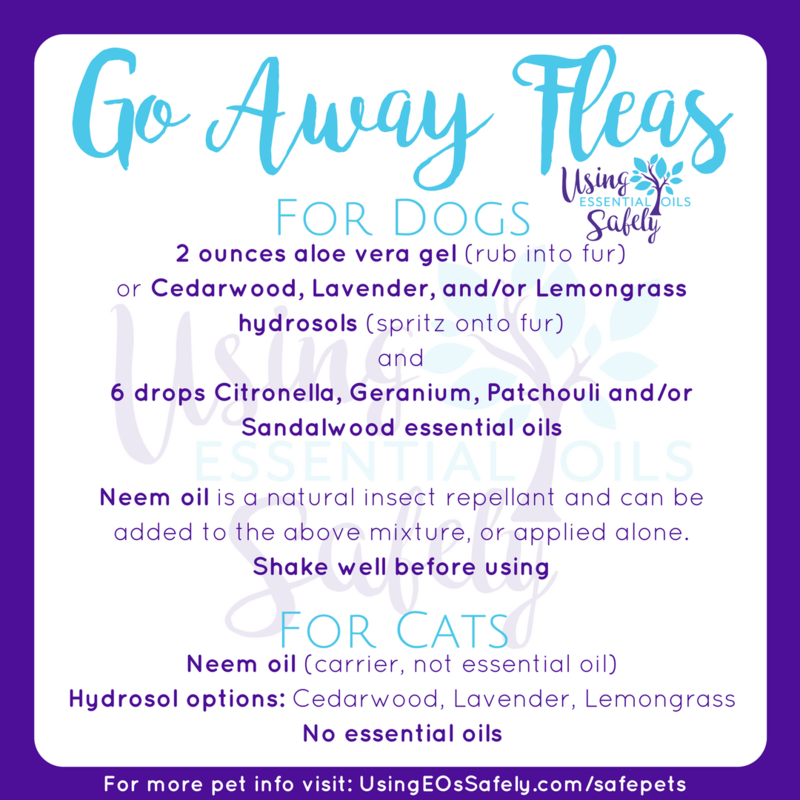 This question comes up often, because in my post about dogs (UsingEOsSafely.com/safedogs) I have Tea Tree listed as safe for use with dogs when used appropriately. This was after consulting two popular books about aromatherapy and animals, and taking a highly respected course on animal aromatherapy. Which states: “As little as 7 drops of 100% oil has resulted in severe poisoning, and applications of 10-20 mls of 100% oil have resulted in poisoning and death in both dogs and cats. Products containing tea tree oil concentrations less than 1-2% are generally considered non-toxic if used according to labeled directions. “I think we can all agree using THAT much of ANY essential oil is not cool! And it DOES state here 1-2% dilution IS NON-TOXIC. And I only recommend 0.25% topical use. Which discusses that it is unsafe around cats (I agree). If you pet questions aren't answered here or in of the links shared above, we suggest that you look into purchasing one of these two books. 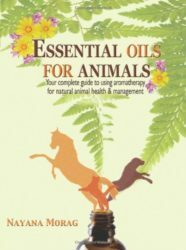 Essential Oils for Animals – This book makes it simple for you to find the right essential oil for any problem, and contains practical, easy-to-use information on: How, why, and when to use essential oils for animal health and daily care, Detailed profiles of 52 essentials oils, 20 hydrosols, and 12 carrier oils, How to make natural lotions and potions. 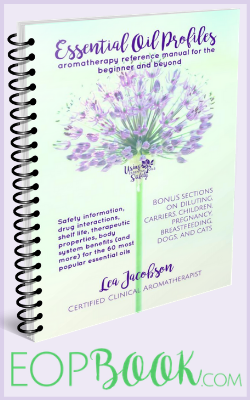 Plus, How to use 5 Element Theory to choose essential oils and understand your animal. An exceptional resource for anyone who wants to support their animals. 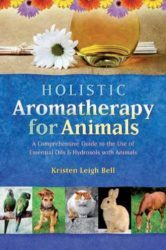 Holistic Aromatherapy for Animals – A Comprehensive guide to the use of essential oils and hydrosols with animals.